Note: I talk about hash tags a lot in this post. Most people call it the number sign #. In Twitter and most social media platforms it’s what starts the hash tag. In general a hash tag is a keyword, which is also has been called a tag. This means you categorize what you’re talking about. If your post is about fashion then add #fashion. If your talking about a location then use #NYC. 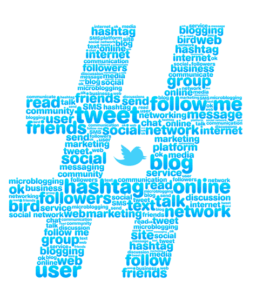 It may take a while to really get use to using hash tags but when you use them your tweets can be found easier. 1) Highlight what your main category is. It lets people know what you do or what your passions are. 2) When people search in Twitter, Twitter may place you in the people section. This will help people find you for your expertise. For your Bio, it will be important to put some hash tags in here that highlight your services or products. Do not over do it. Make it only keywords for your business industry, products or services that you specialize in. Twitter Secret #2 – Use your location, where you live. This Twitter secret is great for local businesses. If you are running a business in a location that you service, make sure you put your town in where it says location in your profile. This is very important. When people search Twitter (see below) they will often search by location. If you put your location in then you may become listed as people on the search whether or not your latest tweet have that hash tag. While your small business website link is the most important, your location is probably second biggest! Hash tags again! They are very important. Use them in your posts. As explained above, use them as keywords for the post which you are talking about. If you are doing a quote, then put the hash tag #quote. If you are talking about a news article on fashion, then put #fashion. Again people will be searching with hash tags and come across your post quicker. Not everyone does this but the unwritten rule on Twitter is if you follow someone they will follow you. Personally, I look at the bio page and how many tweets they have. You can should be a little picky since there are a lot fake accounts and spammers. If they have 4 tweets and 5,000 followers then I figure they are not real. But for the most part if you follow someone they will follow you back. Also another tip is to see who is following someone you are following and follow them. The other way to find followers is to follow the last couple of people of the person who starts following you. An entire course could go into the psychology of following people on Twitter. Twitter is about the conversation in the moment. Retweet people’s posts. Retweet news articles. Add hash tags to them too. Also reply to your Twitter friends with responses. Talk to people. Be kind and reply to someone who has retweeted your posts. Twitter is about connecting with people. Keep the conversation live. Think of a Twitter follower as someone walking into your store. They are looking around to see what you have on your shelves. Sending out a tweet with a mention or retweet is like them calling all their friends! They are spreading the news about your store. When you tweet or retweet someone chances are they will tweet or retweet you. That means the more you talk about them, the more they talk about you. More importantly make your followers and other people on Twitter feel important. After they talk with you on Twitter they might just visit your small business website. This is the true power of Twitter. Find things on Twitter using hash tags. Really great for local search. During a hurricane I found out what areas in my town were flooded. Turns out the person who posted lived right behind me, I didn’t even know his name but recognized him. We know follow each other and report on local events if they happen. In the search box put hash tags of items what your wish to find. For example – #fashion. If you constantly talk about a subject, a good way to find people who talk about that subject is to search for that subject with a # in front. For local searching put your city name in, first without hash tags. Including the state. Then try to push your town together in hashtags like mine would be, #scotchplainsnj. It’s a great way to see what is going on in your town or area. I personally use HootSuite and Buffer. Both of these tools can be tested for free. The point of having a management tool is the ability to quickly post things. These tools are a shortcut. They allow you to post to multiple social media sites at once. This means that a news article or your blog post can be scheduled to go out on all social media accounts at once. Write one post and send it to Twitter, Facebook, LinkedIn and Google +. You can also schedule a week or month ahead. Using a social media management tool will save time and raise your Internet voice. I suggest to try out a couple of the tools. Promote Your Small Business Website While Using These Twitter Secrets. Twitter isn’t all about self promotion or being super salesy. As you use any social media tool remember the 80-20 rule. Self-promote your business and products only 20% of the time while using the other 80% to spread knowledge of your industry and inspire. This means if you send out 14 tweets in a week only 3 of them would directly promote your website. Twitter is about spreading the knowledge and working with people around the world. When you’re in a conversation with someone do you talk 100% of the time about yourself? Realistically we talk about common interests like sports, politics or places we know. By following the above Twitter secrets you can use Twitter to communicate with fellow colleagues and customers. Give the world little pieces of your knowledge. Enjoy the conversation! How do you use Twitter for your business? Have you used an of these Twitter Secrets? Do you have your own Twitter secrets? Comment below to tell you story.